The customer is king. People in business have been saying it for decades, insisting sterling customer service is the bedrock to success. While a lot has changed over the years, the old adage is as true in the digital era as it was in the last century. Customer satisfaction is integral to the reputation and longevity of your business. It’s an easy concept to grasp. People can walk away from an interaction with your brand with a smile on their face, ready to tell others about their great experience. Alternatively, you can leave people with a bad feeling, ready to tell everyone about the nightmare they had dealing with your brand. Bad news spreads quicker than good news. It today’s world, social proof matters, so it’s worth your time to make customer satisfaction a top priority. In this article, we’ll look at the best customer service tools that your business can use to forge stronger relationships with people. By the end, you’ll not only understand the value of good customer service, but you’ll know what it takes to make your customers happy. Jeff Bezos may preach about the great potential of word-of-mouth marketing, but that alone is not what made him the world’s richest person. Unlike the guys in Mad Men, the CEOs and marketers of today have a diverse arsenal of specialized tools and tech to help them deliver the best possible customer service. Here are 14 customer service tools that can help bring you and your customers closer together. Even with all the apps and various channels for communication available today, email remains a stalwart of modern business. However, large teams continue to struggle with organization problems, with emails often falling through the cracks, leaving customers hanging around for help. One method of preventing this is to set up a team inbox. With all complaints and queries landing in one place, your team can combine forces to ensure every customer is looked after. There are some concerns that too many chefs can spoil the broth, with the chance that several people may respond to the same email a distinct possibility. However, the pros of a shared inbox largely outweigh the cons. Swiss Non-Profit Organization PIECES found a way to use Slack to streamline their team inbox and ensure nobody was left behind. Once you get up and running, your team will be able to align your marketing, sales, and customer service teams to offer a better customer experience. It may be 2019, but there are still a lot of consumers who are hesitant to make purchases online. Some people are more comfortable when they talk to an actual human first. This is where a call center comes in. By having people ready to answer the many questions prospective customers have, you can alleviate fears and instill the trust needed for purchase to happen. You don’t need a huge department full of people at desks answering phones all day. Nor do you need to outsource the job to a company on another continent. Software as a Service (SaaS) makes it easy for your business to shift call solutions, analytics and customer relationship management (CRM) to the cloud. Studies indicate that more than 70% of companies believe all their apps will be SaaS by the year 2020, meaning more businesses will turn to a platform like EngageBay to take their business to the next level. You have an issue with a product or service, so you contact the company. You explain the situation to one person, who then transfers you to another. The next person knows nothing about the issue, so you have to explain everything again. The problem is not resolved at first, so you must contact them again in a few hours, or perhaps the next day. You call back and have to explain the whole situation again. This scenario walks a tightrope between mildly frustrating and extremely infuriating. Either way, it doesn’t do much for customer satisfaction levels at your business. Thankfully, there’s a simple solution. By using a help ticket system, customers can get a quicker answer to their problem. Better yet, if there are a few steps and personnel involving in the road to resolution, the help ticket helps people track the issue along the way. Customers stay up-to-date with notifications about the progress, and your employees stay on-point, ensuring there is no confusion about the matter. One of the best customer service tools available today is live chat. It doesn’t matter what your industry is, or who your customers are, a live chat system can set you apart from your rivals when it comes to customer satisfaction. People want quick solutions. Offering a reply within 24 hours is not going to cut it any longer. Live chat customer service saves your company time and money, and moreover, it is convenient for the customer, allowing them to multitask while they get on-the-spot solutions within an instant. Live chat delivers the highest levels of customer satisfaction – 73%, which tops email (61%) and phone (44%). More than 60% of consumers say they will return to a company website that has a live chat service. Guyana-based retail support call center GTT used live chat to reach higher levels of customer satisfaction, and they did it without having to hire a larger team. 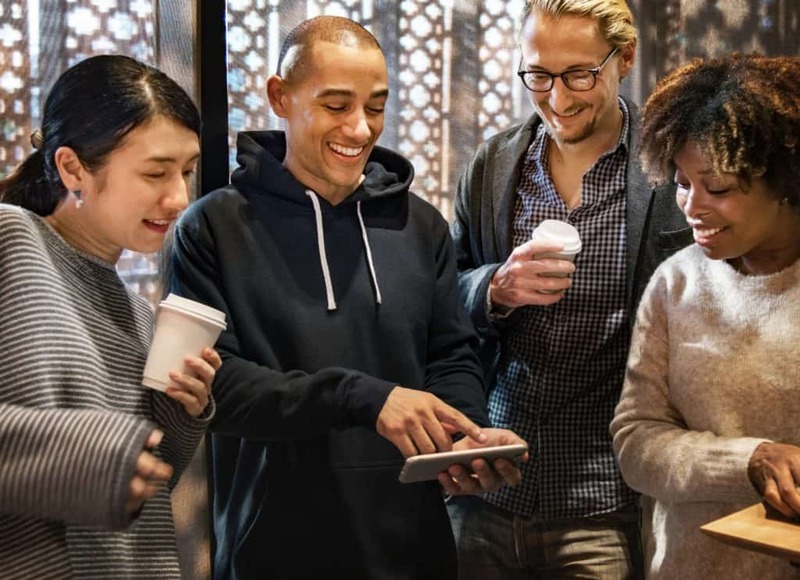 Businesses all over the planet want to find more effective ways to connect with their audiences. This has given rise to cross-channel marketing, where brands reach out to people on multiple mediums. One of the best channels to exploit is through the use of a mobile app. As much as 80% of consumers use their smartphones to do shopping, sometimes while they are within a physical store! This is a massive part of the customer journey, and a dedicated app is a great way to streamline the experience. Not only will this offer people a better user experience, but mobile apps also help to keep your brand top-of-mind when people are considering purchasing products from your industry. Therefore, apps are good for customer satisfaction and brand awareness – it’s win-win! If you go down the mobile app route, you may as well go all the way. Email sign-up boxes aren’t as compelling as they used to be, which has paved the way for push notifications. Whereas email sign-up requires time and effort, not to mention handing over personal information, push notifications are a simple one-click subscription to a company’s news feed. It’s easy for customers, and great for companies, as they can build a following in a quick and easy way. Once you have the list, it’s possible to tailor personalized push messages based on the data you collect through the app. 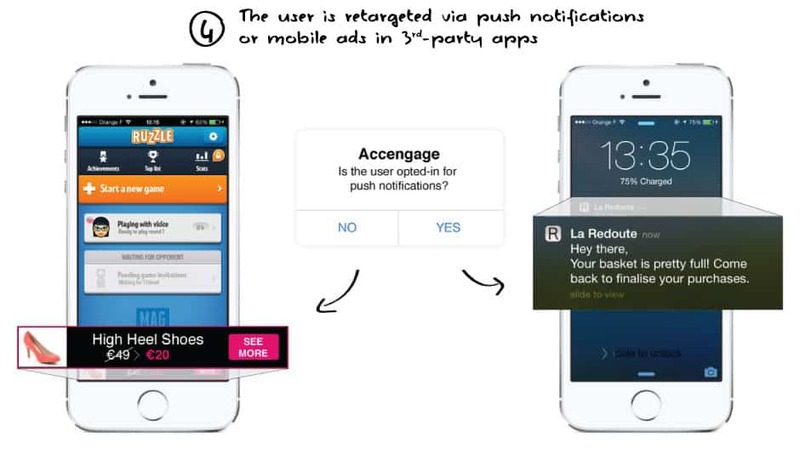 French fashion company La Redoute used this tool to conquer their abandoned cart problem, boosting customer engagement with personalized messages that encouraged people to return and complete their purchases. Live chat may be the go-to for many companies now, but customer service on instant messaging isn’t a bad alternative. In some cases, it’s an option that many customers prefer. They still get the experience of a one-to-one conversation, but there is no need to hang around waiting for a response. Many companies are already advertising on apps like Messenger or WhatsApp, so customer service is a natural progression. People can send messages and go about their day, replying in kind whenever a company responds, whether it be in 30 seconds, an hour, or the next day. This offers customers a flexible way of resolving less-pressing problems, removing the need for expediency. For smaller teams with limited resources, this is a solid middle ground between live chat and email services. If you want to step it up a gear, you could use an AI chatbot for instant messaging customer service. It’s a big leap, but as machine learning gets smarter over time, it could deliver a great return on investment (ROI) for you, and boost customer satisfaction at the same time. To say social media is a crowded playing field nowadays is a massive understatement. While the competition deters many from even trying, the reality is trying is better than sitting on the sidelines. If your company’s social media profile is a digital ghost town, it’s akin to building an empty store in the middle of the jungle. Nobody is coming, and if they do stumble across it, they probably won’t stay around to look at the empty shelves. Brands need to be active on social media. It is more than slapping up your logo and a few posts about a big sale. You can use these platforms to forge relationships with people, boosting your brand awareness, listening to the issues consumers have, and nurturing trust with prospects. All of this can help you finetune your existing marketing and sales strategies. When the time comes, your brand will be one people go to as they know and trust you because of the reputation you cultivated on social media. About 70% of customers engage brands on social media for customer service reasons. This doesn’t cost your company much in terms of time, money or effort. By comparison, the ROI is significant. 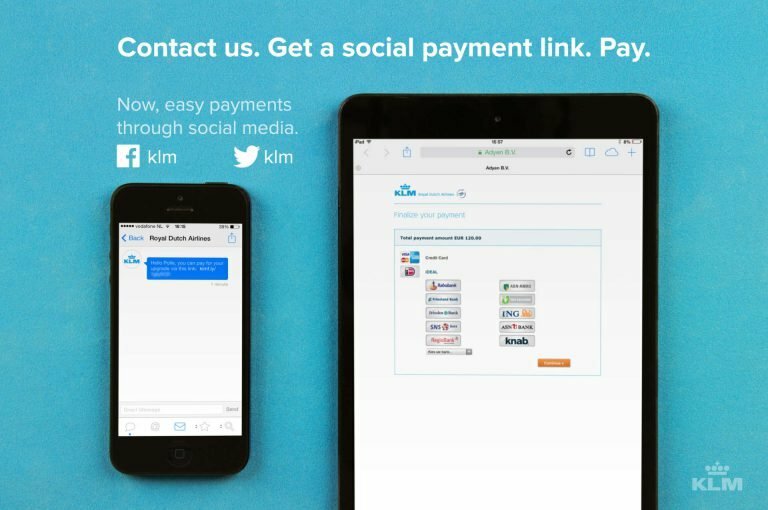 Dutch airline KLM created a social media hub to attract millennial customers. They integrated instant messaging apps too, and the move helped them earn the reputation of being a ‘social media airline’. When we think of the most useful customer service tools, marketing automation is near the top. Specifically, we can consider email automation. The union of email and AI was a real gamechanger when it came to the fore a few years ago. Marketers rejoiced at the ability to send targeted, personalized emails to small segments of their wider audience. Nowadays, it is the only way to do email marketing. You can create emails in advance, then automate them to send upon specific triggers. When you have behavioral-triggered emails ready to go, your company can offer a personalized customer experience that people remember and respect. For example, the popular American shoe company, Zappos utilizes triggered emails to quell any fears customers have after placing an order online. They send a quirky automated email that confirms the order and lets the customer know when to expect delivery. Research from SendPulse suggests that these type of emails increase clickthrough-rate (CTR) almost four-fold compared to traditional, generic emails. EngageBay users can set up ‘canned responses’, which facilitate smoother, faster customer service communications in a similar way to triggered emails. Sometimes, people just want to take care of their own business! If your company provides a customer portal, then your customers can do just that. This service is great for customer satisfaction, as they can solve issues on their own schedule, whenever is convenient. They also have the independence and autonomy to review various orders, invoices, documents, and financial matters. With EngageBay, your business will have a platform to monitor ongoing deals with customers. This ‘visual deal pipeline’ allows you to track the progress of customer relationships and transactions in real-time. 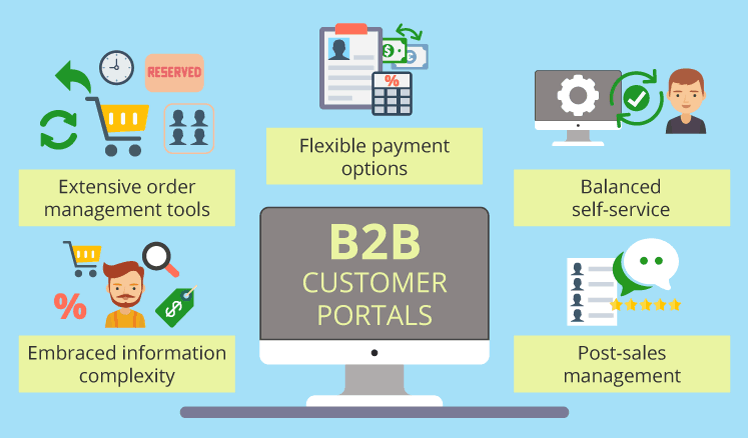 Another spin on the customer portal is a self-service page or even a standalone website that acts as a knowledge base for your customers to peruse at their leisure. This is the era of “Googling It”, and people are always likely to search for solutions themselves before asking for help from another person or company. Customer satisfaction will increase as people find answers to common issues. Your customer service costs will be reduced as there is less need to deal with common issues and recurring problems. UK tech company Dyson is most famous for its range of vacuum cleaners and hair dryers. Its knowledge base is customized depending on the user’s country, which offers an easy and enjoyable user experience. A study from the Aberdeen Group asserted that 85% of online communities use a formal strategy to nurture customer relationships, with the goal of creating loyal brand advocates. Such a strategy is self-perpetuating, as your entire focus is about customer satisfaction. By focusing intently on providing the best possible customer service, you encourage more people to talk about their great experience. This, in turn, encourages more people to engage with your brand. Nowadays, your brand can build a community on your website, on social media, or around your blog by creating a forum or exclusive membership suite that encourages discussion and interaction on interesting and important topics. 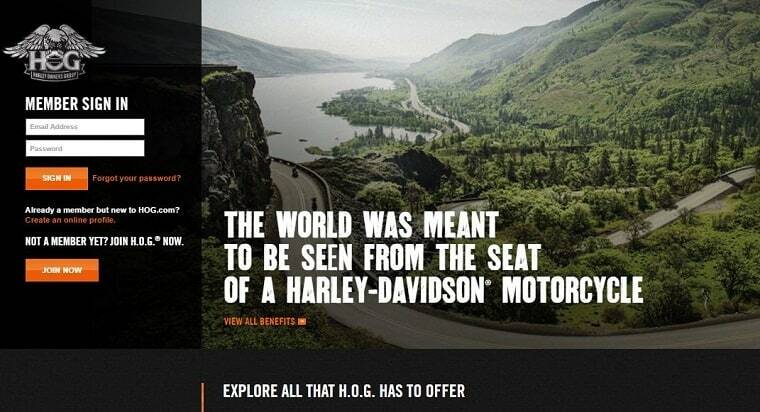 Harley-Davidson attracted over 1 million global members to the Harley Owners Group, fostering a close-knit community of like-minded spirits around their products. By the year 2020, Walker Consulting believes the customer experience will be what sets brands apart from their competition. That’s just a year away, and yet so many businesses have no idea what their customers are thinking. Knowing your audience is a critical part of success. If you haven’t figured it out yet, maybe it’s time you asked. Sending out a customer satisfaction survey to gauge people’s thoughts and feelings about your service can reveal some valuable insights. People tend to be more honest in these surveys compared to in-person. Marketing guru, Neil Patel states that 86% of consumers are willing to pay more for better customer experience. Surely then, your company should be willing to invest a little to find out exactly what it is that will make your customers’ experience better? Hilton Hotels are highly active with surveys and data, and they are reaping the rewards of their efforts. Their surveys get a high response rate of 30%, helping them understand their customers better, and offer an enhanced service in return. The best CRM platform can give your business a unified platform that brings all the key departments together. This does wonders for customer experience. However, even the best all-in-one platform has boundaries. That being said, we live in a world where the best tech and customer service tools can easily be integrated with one another. Consumers love devices that are able to transmit data to other devices. As people get overwhelmed with apps and options in a mobile-mad world, it’s the companies that can offer a seamless, interconnected experience that will rise to the top. The way we do business may be evolving as the world becomes more obsessed with technology and data. However, the concept of great customer service remains largely unchanged. It’s all about delivering a memorable, personable experience. You can accomplish that by experimenting with the customer service tools in this article. When your brand does it right, you will foster trust with more people. They will soon become loyal to your brand, returning to engage with you, again and again. Better yet, they will become brand advocates who tell others about the fantastic customer experience you offer. As customer satisfaction and brand awareness flourish, your business will become a respected brand across the globe. Unite your marketing, sales, and customer service teams today with EngageBay to deliver a better customer experience soon.